We have reviewed games here on our blog now for over a decade. During this time, we've had various methods for review games ranging from stars and numbers, even a seal of approval back in the day. I think it's time for another change; This time to reflect a more modern and realistic approach to our video game commentary. 1 to 4: Absolutely horrible. Avoid this game at all costs. We even regret playing it. 5 to 7: Average (5) to Good (7). There may be no reason to run out and buy this title right away, but it has some redeeming qualities. See review for more details. 8 to 9: Great! This game is highly recommended. 10: Absolutely phenomenal. No game is perfect, not even a 10, but this comes close. We not only enjoyed this game immensely but we will be playing it over and over. You absolutely must buy this title. The problem with a review system based on numbers is that people tend to compare game scores. Game X may get a 10, but Game Y got a 9. They think that Game X is better, when that's not the case at all. We always feel games should be judged against their own potential, value, playability, and fun. Another problem with a number system is that there's no universally accepted guidelines for how you can rank a game. Some sites use a skewed system where 7 or 8 is considered average and anything below that is failing, but that makes 0-6 worthless on the scale. While our system of ranking was more accurate and fair than most, we feel there's now a better way. Our system of reviewing a game will now simply be whether we recommend it or not. 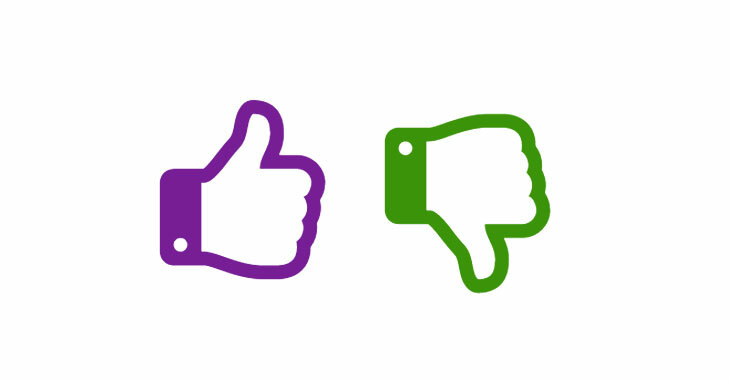 We'll include a thumbs up or down (from both of us if we both have an opinion) as well as a pros/cons summary of bullet points. The point of our reviews is not to focus on a score, whether arbitrary or not. It's to focus on the content of our review and the discussion. This new system will facilitate that goal. P.S. Thank you to all who participated in my Twitter poll. A vast majority of you indicated you preferred this system. Next Post31 Days of Blogging: Huge Success!